The Kingdoms team are thrilled to see that the Lords and Ladies of Stronghold Kingdoms are eager to take their castles along with them on the road. To clarify, we never intended to make this new mobile version of SHK exclusive to only iOS users. Since the beginning our plan has been to bring Kingdoms to both iOS and Android. We expect the Android version to arrive a little later than the iOS release, but this is purely down to the small size of our development team. 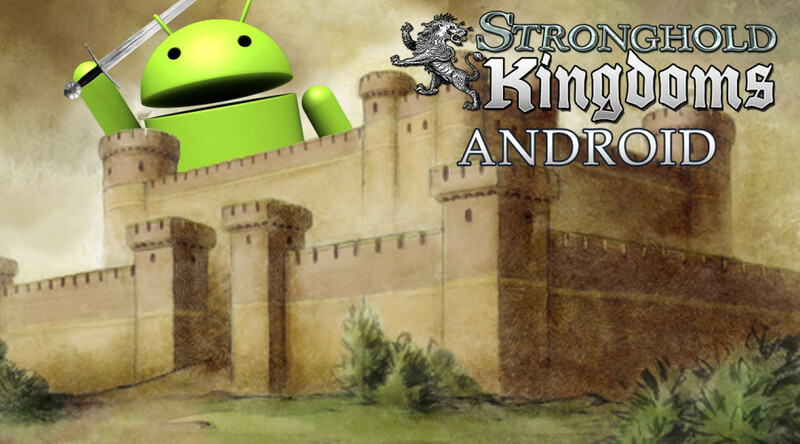 Stronghold Kingdoms on Android will of course offer all the same core features of the iOS, PC, and Mac versions. This includes the full game, new touchscreen controls and cross platform play with the millions of existing Kingdoms players. Follow us on Twitter for updates on Android and iOS development, screenshots of the new mobile controls and video diaries.